[/gallery] This past Saturday, as eager fans piled into Mandel Hall to see Matt & Kim, the snobby New Yorker in me got an intense reality check. In retrospect, I had been incredibly naïve. Having survived the vicious mosh pits of New York, I figured that a concert in the Reynolds Club, open to anyone with a UC ID, must be pretty tame in comparison, right? The battle wounds on my left shin beg to differ. The doors opened at 7 p.m. We arrived at 7:02, cursing ourselves for being on-time, and dreading the inevitable waiting in an empty auditorium until the fashionably late people came. The room was, in fact, almost empty, but not due to a lack of people; there were about 50 people who had somehow managed to squeeze themselves into Mandel Hall in the past two minutes, and had then, in a blatant disregard of the concept of personal space, piled into a mass of people, about two feet thick, in front of the stage. So it was 7:02, and we had 58 minutes to wait. Being true conformists, we also piled into this layer of people, and, within seconds, had no way out, seeing as a mass of people pushed in behind us. At approximately 7:04, I got uncomfortably well-acquainted with the tall, sweaty man in front of me. Since my head was about level with his shoulder, I got up-close and personal with his moist shirt and right elbow. It’s 7:05, and I’m already bored. Not to mention that the people collecting tickets had confiscated the $2.64-worth of candy on which we had each splurged at Bart Mart in anticipation of the long wait. Finally, as the clock struck 8 p.m., a man in a yellow Hawaiian shirt emerged from behind the curtain. Delusional from the exhaustion of standing, my immediate response was “That must be Matt!” But, then another three guys emerged from the opposite curtain. 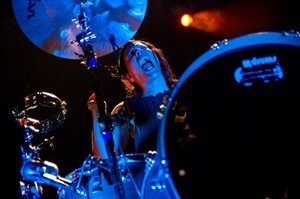 You would think that the fact that Matt & Kim is a two-person band, consisting of one man and one woman, would tip me off. But, no. 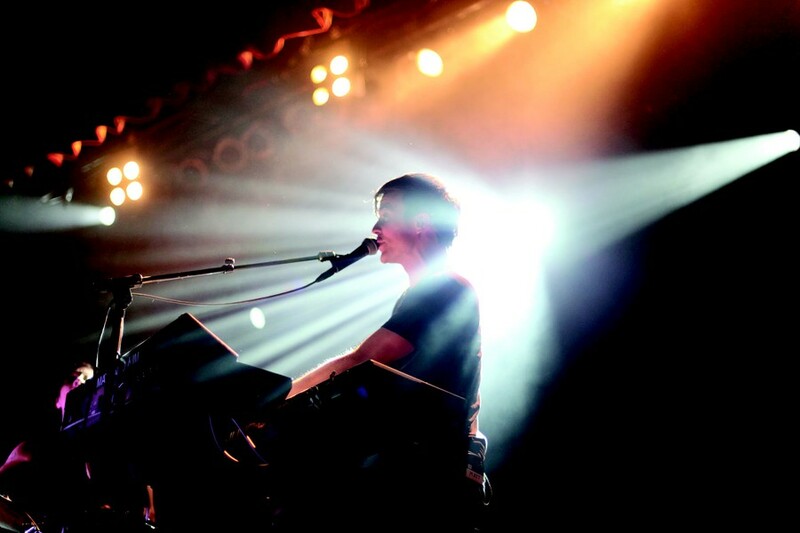 Neither did the fact that Matt & Kim use only drums and keyboard, while the group before me was busily tuning their guitars. Then I suddenly remembered that I had seen one of the band members on the quad the previous morning—that’s because this was Squat the Condos, a band made up of U of C students. We swayed a bit to the music, and chuckled when they played the song “Burn Down Pierce.” But we kept checking our watches, waiting for the real reason for which we had paid five whole dollars to arrive. Things were still tame when Squat the Condos left the stage. But, suddenly, an enthusiastic Matt marched on stage, followed by Kim, sporting Converse and tattoos, who made her entrance by jumping on her drum set. As they stationed themselves at their instruments, Matt at his keyboard and Kim at her drum set, the duo from Brooklyn, New York, was greeted by ear-splitting shrieks from the sea of students. That was when the violence began. Mandel Hall was filled to its capacity of a thousand people. Most of them were packed into the approximately eight feet of space between the first row of seats and the stage. They were all dancing. You do the math. I’m not even sure it can be called dancing; it more closely resembled thrashing, like how those whales in movies jump out of the water and thrash in the air. During the first song, all of my energy went into standing. As the crowd thrashed, I found myself, at times, not even supporting my own weight. It became a mess of sweat and getting too close for comfort to that girl from math class to whom I had never talked before. I figured that, since there was no way out, anyway, I might as well channel my inner New Yorker and become one with the mosh pit. And mosh, I did. 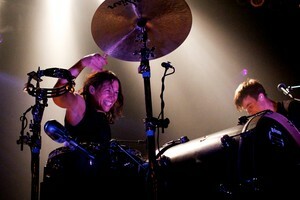 Matt & Kim played songs like “Lessons Learned” and “Cameras,” among others, interrupting their songs only to jump on their instruments and dance. Just in case the crowd didn’t love them quite enough, Matt stopped to say that they had just played at Northwestern, and that they had been nowhere near as crazy as the crowd at the U of C. One fan was so thrilled, he asked Kim to have his children. The duo interacted with the crowd during most of the concert. At one point, Kim announced that she was going to walk on the crowd and dance on their hands. She was dropped. She congratulated Chicago on being the first city to ever drop her. Our excuse? We’re intellectually strong. At some point, the sweat, the aching feet, and the random guy behind me who couldn’t support the weight of his own hand and found my shoulder to be a convenient resting place for it, became irrelevant. 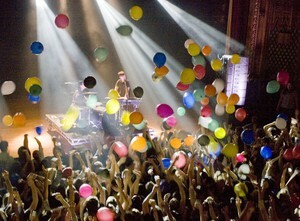 I immersed myself in the blasting music, played with the balloons they had tossed into the crowd, and moshed. Hard. They closed the show with their most famous song, “Daylight.” After they promised an encore, if anything to give us a shot at redemption for dropping Kim, they rather unceremoniously left the stage. As we emerged into the brisk night, drenched in sweat and feeling as though we had just suffered a beating, we couldn’t help but wish we could do it all over again. Even for those who weren’t die-hard Matt & Kim fans, it was a performance to be remembered, not only for the music, but for the theatrics as well. In response to Matt’s “We’ll be back if you’ll have us,” we most definitely will have you back. Next time, with some football padding.